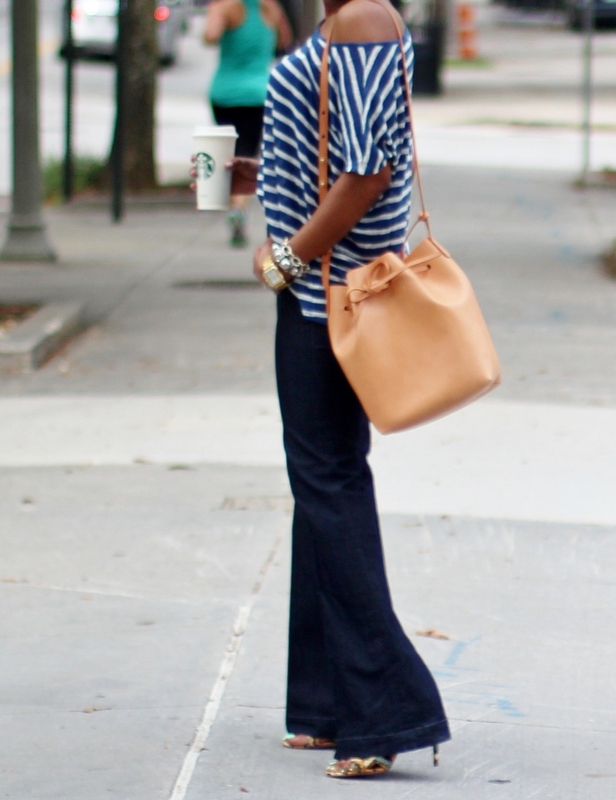 In celebration of Labor Day, I decided to post a casual-cool look to commemorate the summer season. 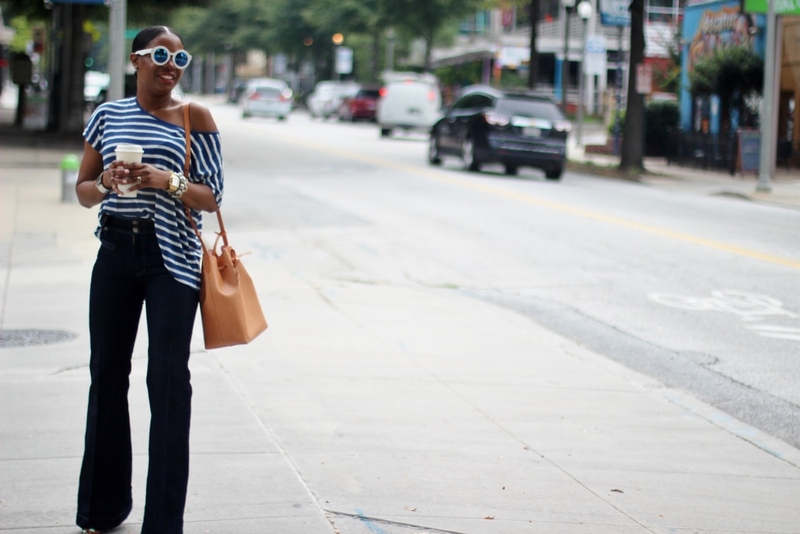 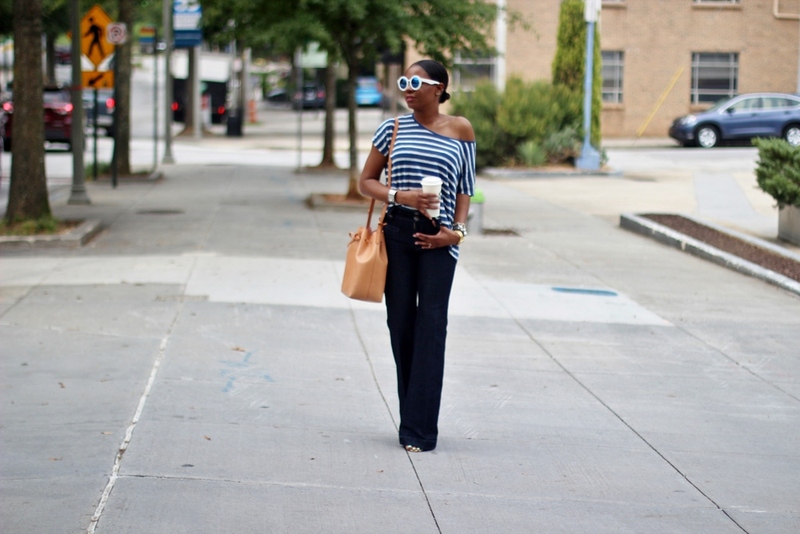 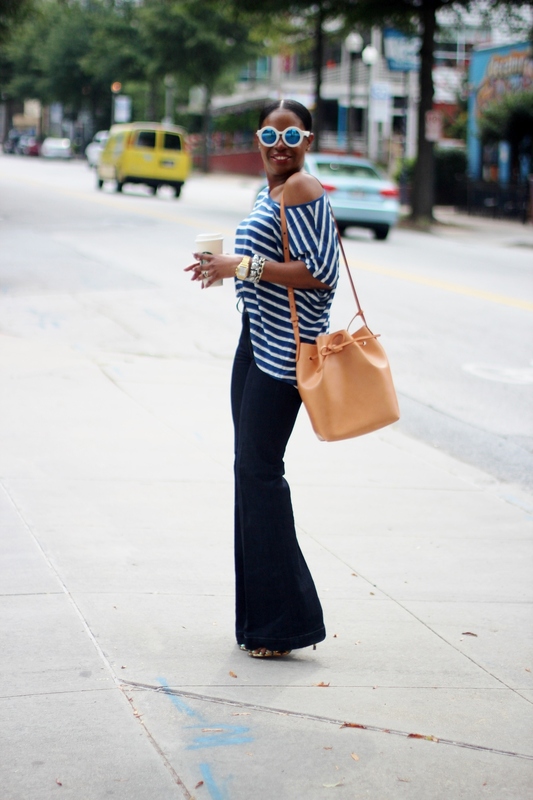 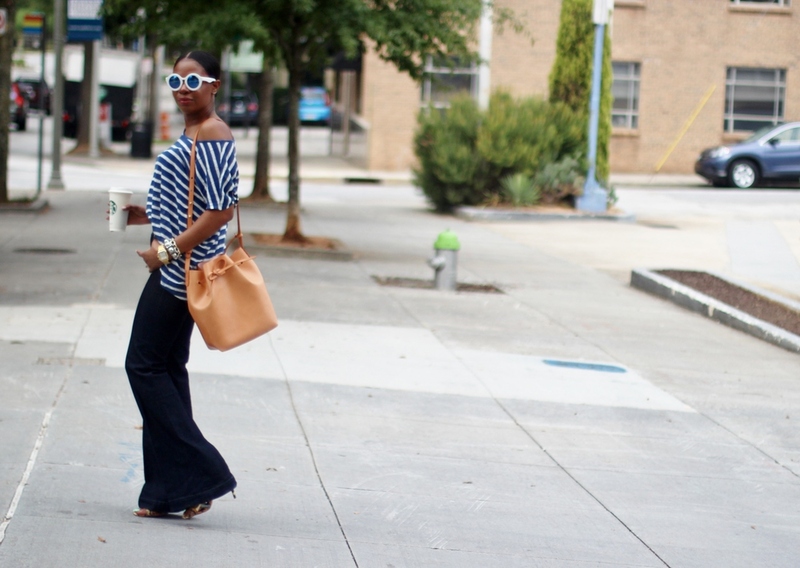 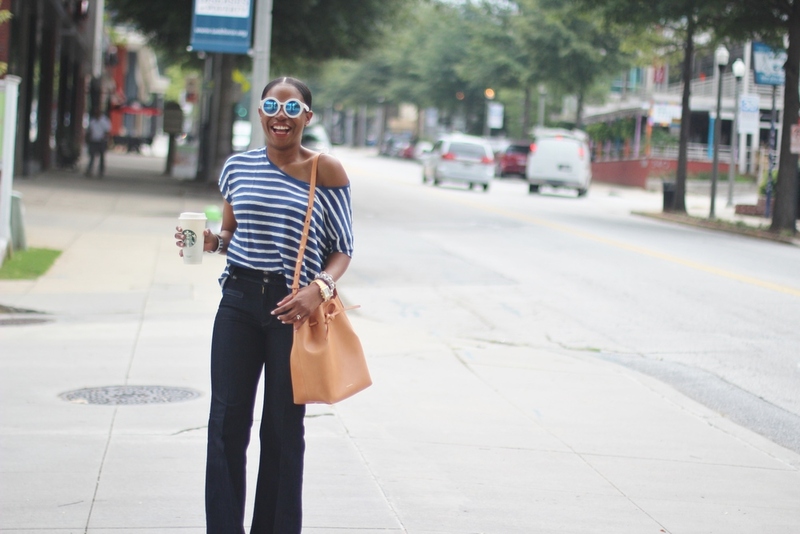 Although it is still 90 degrees in Atlanta, Summer is officially over, hence its time to start transitioning into Fall trends. 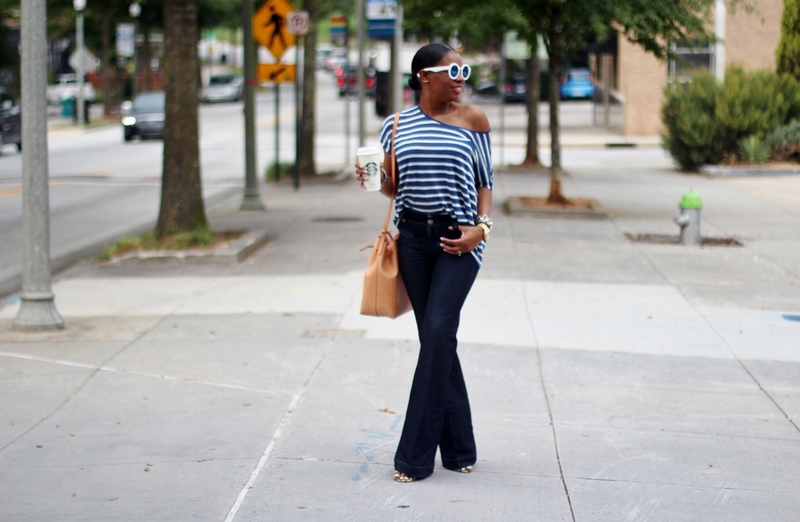 Bell-Bottoms or wide leg jeans are going to be major this fall, so grab you stylish, most comfortable tee and pair it with one of the hottest trend of the season. 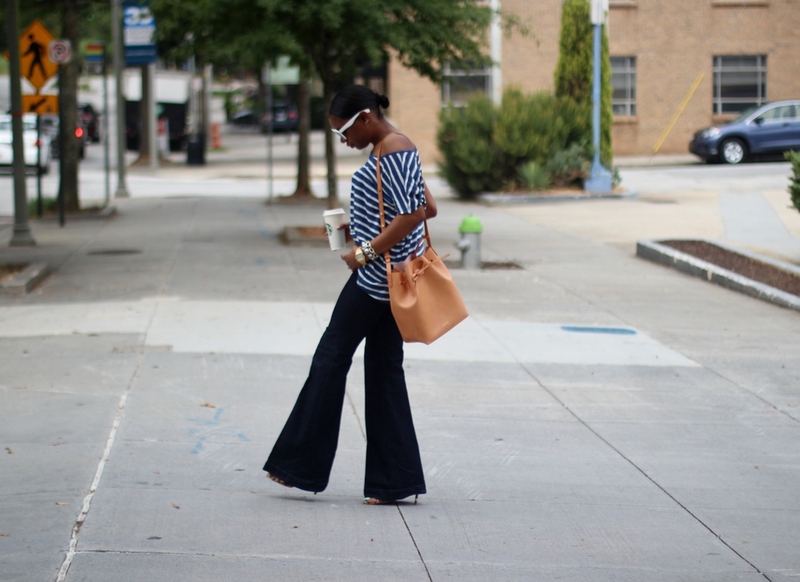 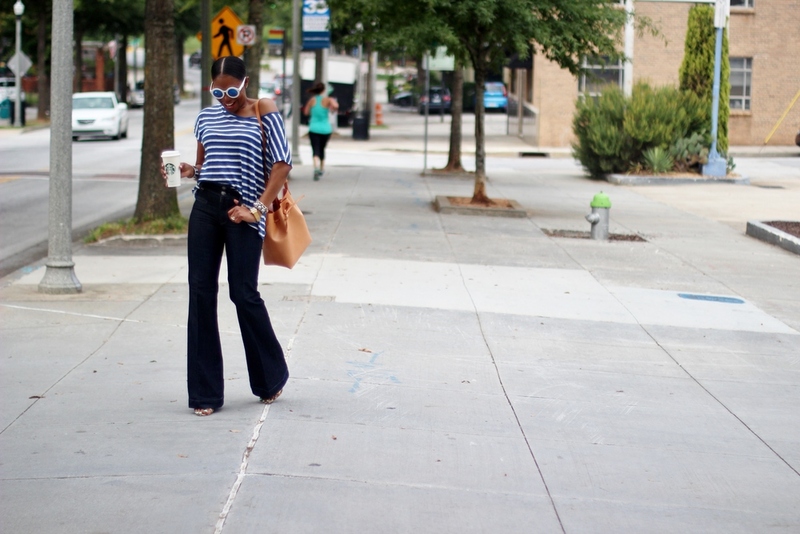 Get into the 70’s grove and use the links I provided to shop my entire look!